It’s official: Beer giant Molson Coors is getting into the cannabis-infused beverage industry. Currently, this launch will be limited to Canada as soon as marijuana is officially legal, but this is a move that needs to be followed carefully in order to understand exactly what’s next in this industry. With the decreasing consumption of beer and recent mainstream success of cannabis-infused products, recent trends are suggesting that a large part of the North American beverage industry will be overtaken by products containing THC, CBD, hemp, indica, or sativa. Something that seemed out of an episode of The Simpsons is now becoming a reality, and may just as well change the public perception of marijuana forever. When we say “cannabis-infused” beverages, we aren’t just talking about a beer-like substance; we’re talking about hundreds of variations ranging from wine to sparkling water, tonics and even medicinal oils. The cannabis industry is now offering hundreds of new ways to utilize these substances, and the possibilities right now are endless. As the CBD industry is currently paused in states like California, large corporations are now focusing on the Canadian market as a model for a western society where cannabis becomes introduced as a regular product for consumption. Fact #1: Cannabis is (or may be) healthier than alcohol. The debate on the healthiness behind cannabis is endless and may never reach a valid conclusion. However, the medicinal uses of marijuana, such as CBD or hemp, has shown lots of promise for its therapeutic properties. One of our clients has received countless product reviews of people recuperating from epilepsy mentioning how their CBD water has been very effective at helping relieve their pain. In terms of recreational use, cannabis by itself is a lot less calorically dense than beer, giving beverage producers an opportunity to make their products significantly healthier than what’s commonly found in the market. And if the products are sold by a licenced retailer, then there is absolutely no reason to why they wouldn’t stick to the law and only sell what they’re legally responsible for. All this being said, recreational use of marijuana still has many mixed opinions, but the truth is that it’s here to stay. For more detail on the health-related specifics, please refer to this Business Insider article. Fact #2: You don’t have to smoke it. It’s true, many people hate the smell of marijuana, we included. Turning cannabis into a beverage, however, instantly fixes that issue. Not only will this partnership serve as a way to reduce the amount of smoke coming from cannabis consumers, but it will introduce new ways to enjoy and have a good time with moderation. Cannabis beverages give people a new and interesting way of consuming these substances without having to smoke them, eliminating potential lung and second-hand related issues. In addition, controlled dosses give consumers more control over their experience. Because of how hard it is to purchase high amounts of cannabis (in comparison to alcohol), people will be less likely to abuse their consumption limits. October 17, 2018, will be a historic day in Canadian history, and we expect the FDA to take similar measures and adjust their stance along with the DEA on cannabis regulation. Any beverage entrepreneur will tell you how complicated it is to get FDA approval, and if it’s a cannabis drink, then it will likely be much harder to do so. Why is it so hard to get FDA approval? Because the FDA is genuinely concerned about people’s health and well-being, and so is Molson Coors. Being the first beer giant to jump into this trend is not easy, especially as they have the obligation to make sure that they follow the law. 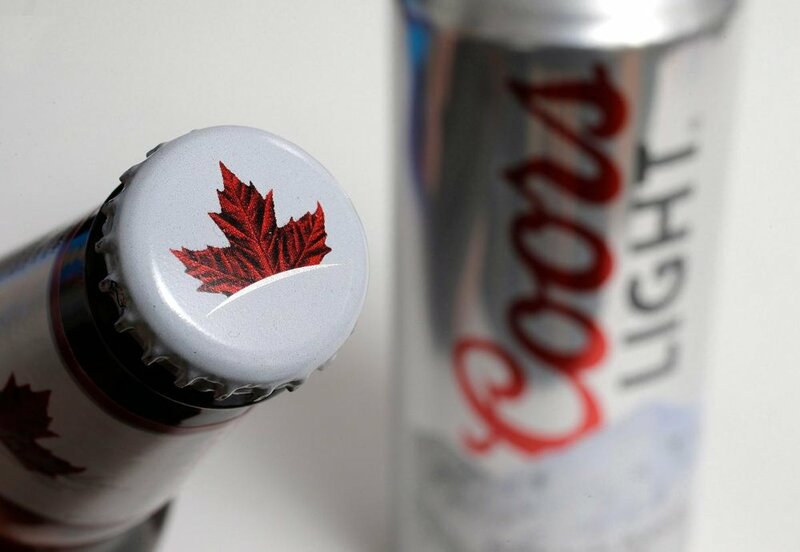 How Molson manages to accomplish something like this will put their brand into the world's spotlight and will set the standards for what other brands will follow. There is much that this industry still has to follow to be successful, and much of that will fall into today's pioneers. All we can say now is that the world has changed its mind on weed. Now it's time for cannabis brands to be even more responsible on how they use this privilege, as it will set a standard for future legalization in the United States, Europe, and the rest of the world. Bottom Line: If a multinational like Molson Coors is investing in cannabis, so should you. Learn more about how to enter the fast-growing market by bringing your passion for business, beverage, and branding to life by connecting with our team. Sign up to our newsletter to stay up to date with all the latest trends in the world of drinks.